Z1000 is a medium duty polymer concrete channel perfectly suited to car parks, forecourts and areas of light or slow moving traffic. 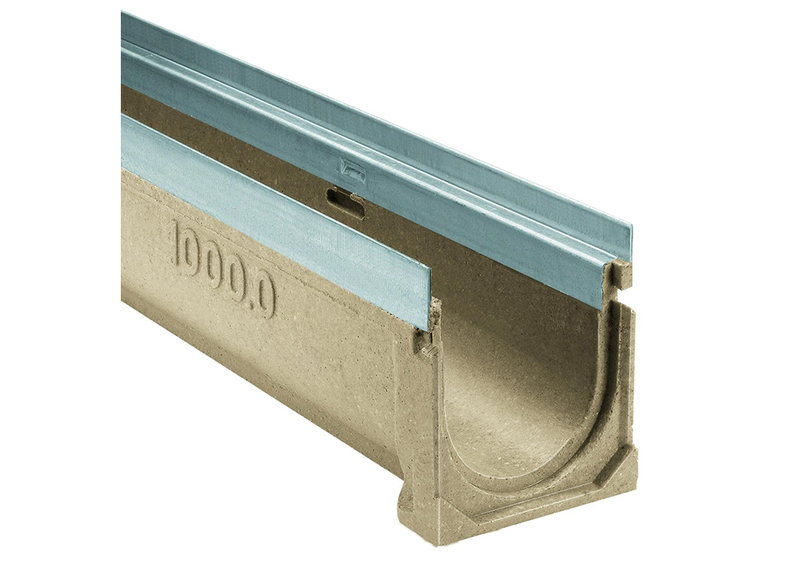 The channel has galvanised steel edge protection to create a strong and durable product with outstanding hydraulic properties due to the proven ‘U-Shape’ Cross Section. 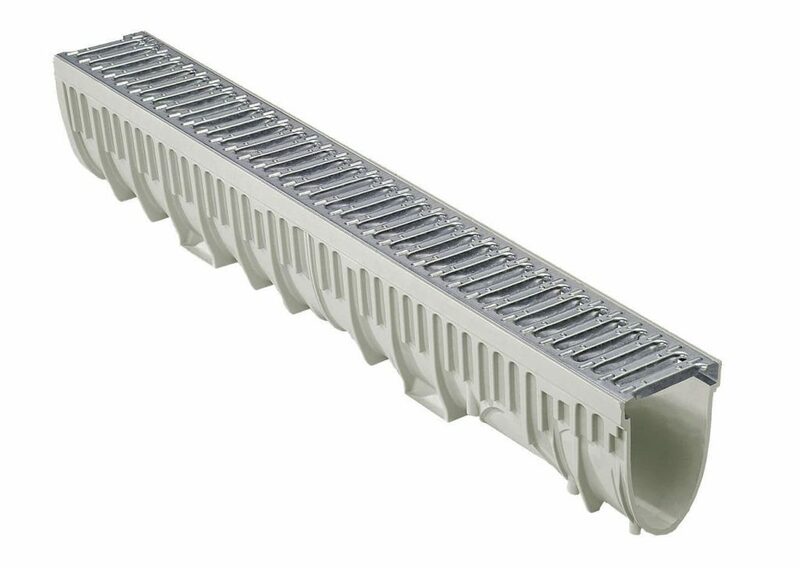 The ZL range is virtually identical to Z1000 in all but depth as it is designed for use on parking decks and multi-storey car parks where the depth of channel is severely restricted. The channel comes in 60mm and 80mm deep sections but still maintains the same C250 weight loading and comes with the same range of accessories and gratings. 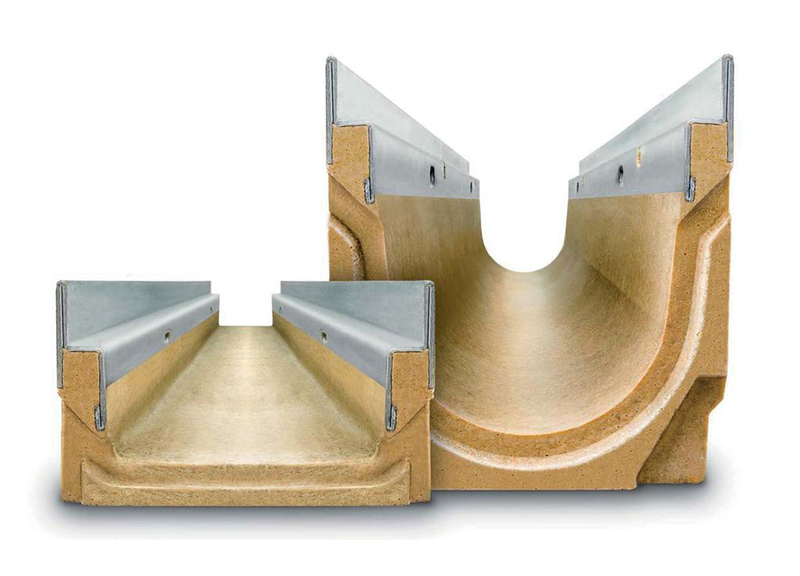 MEARIN PLUS is available in different widths from 100mm to 300mm and weight loadings from A15 to D400. 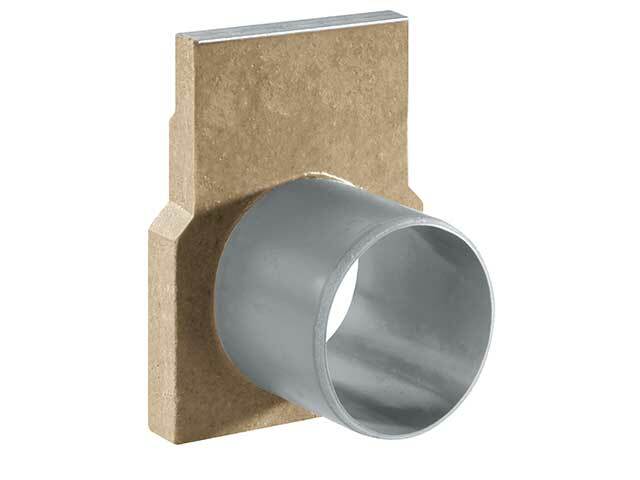 It is extremely versatile and made from highly resilient GRP which is dimensionally stable, heat-resistant, abrasion-resistant and resistant to chemical attack as well. 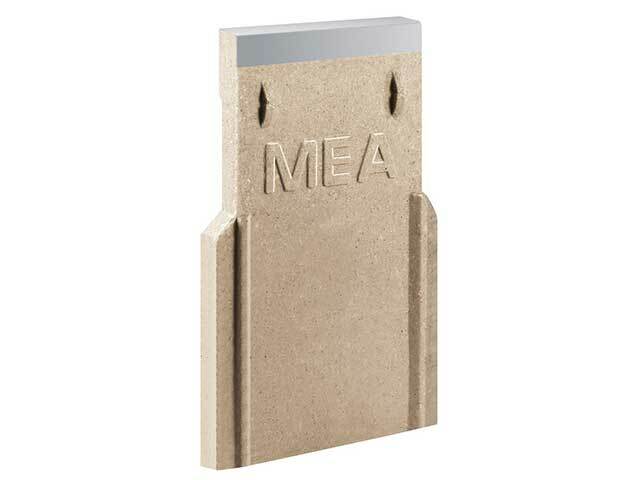 Unlike some GRP systems MEARIN PLUS is not made from thermoplastic and will therefore not deform under high temperatures whereas cheap plastic systems can deform from the heat given off by cement. 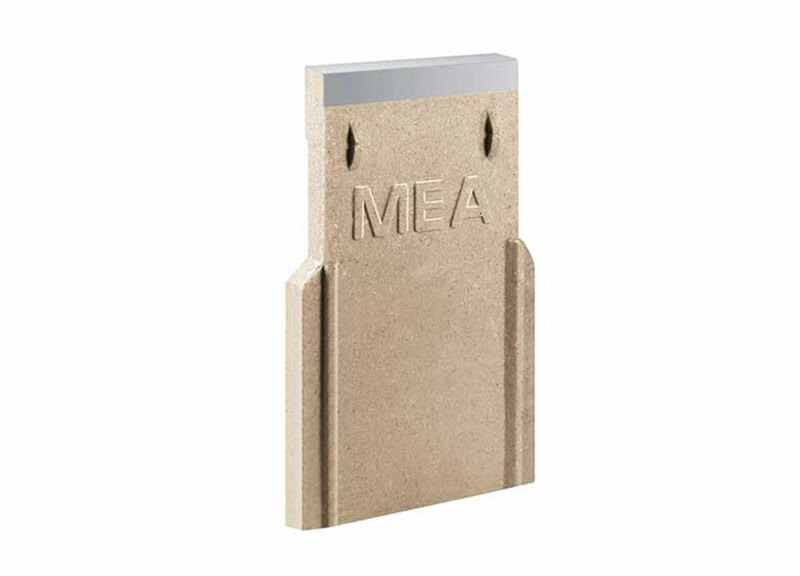 MEA channels can be supplied in varying depths which, when laid end to end, give a gradual or stepped fall over a given distance. This gives greater water removal characteristics as the speed at which the water is removed is greatly increased. 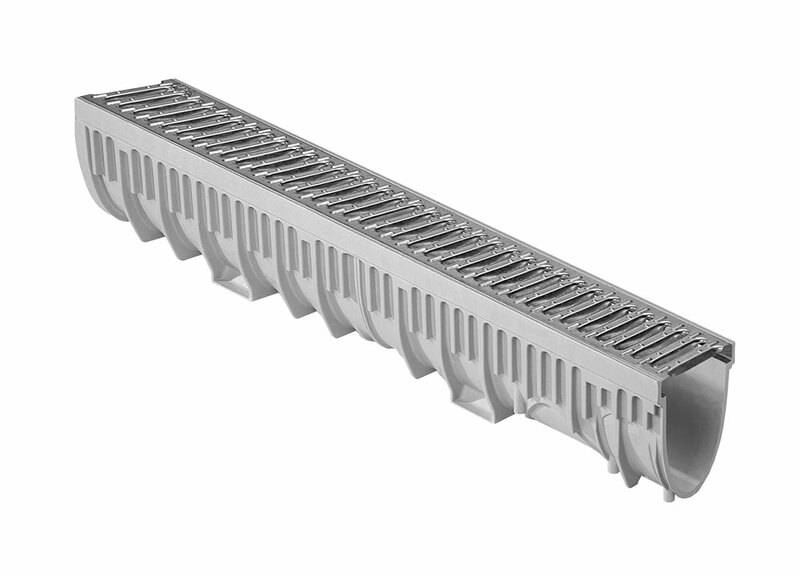 There are several grating options available depending on the final application and all of the gratings are designed to be aesthetically pleasing in addition to meeting stringent design requirements concerning longevity and dependability. 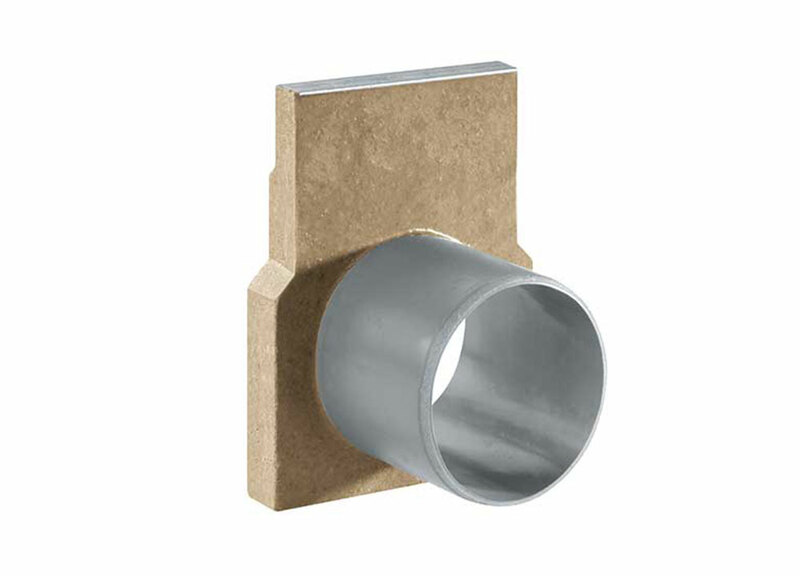 Standard slot gratings provide for maximum water flow and comes in loadings up to C250. 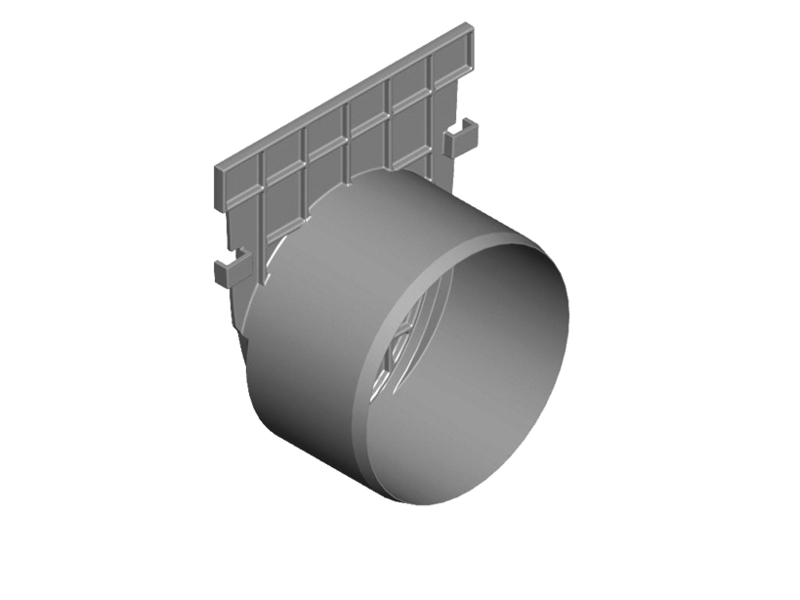 They can be supplied in Galvanised Steel and Ductile Iron depending on weight loading and visual requirements. 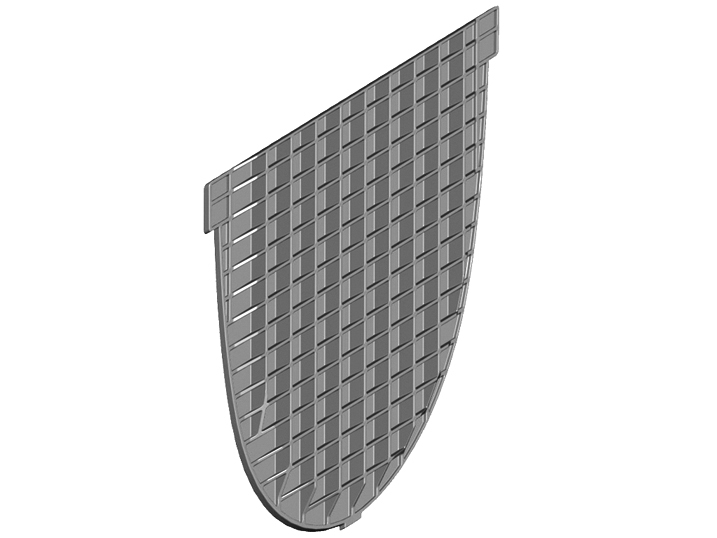 SlimSlot gratings have a narrower slot than standard gratings which means they are “Heel Safe” and pedestrian friendly. At C250 loading they are perfect for shared surfaces, such as supermarket car parks, where traffic and pedestrians mix. 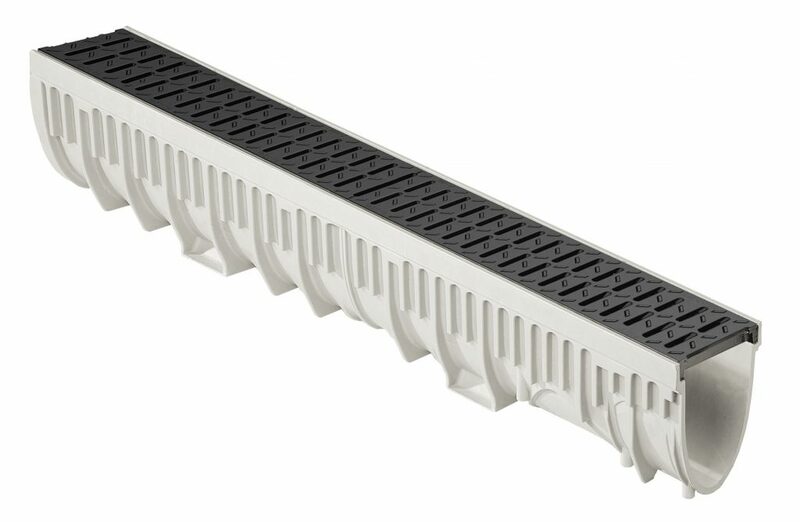 The TopSlot Grating system can be fitted to any channel to create a very discrete yet efficient drainage system. The galvanised steel grating is capable of C250 Loading (25 Tonne) and it’s unique shape means that the drains can be used in block paved surfaces without spoiling the aesthetic of the area. 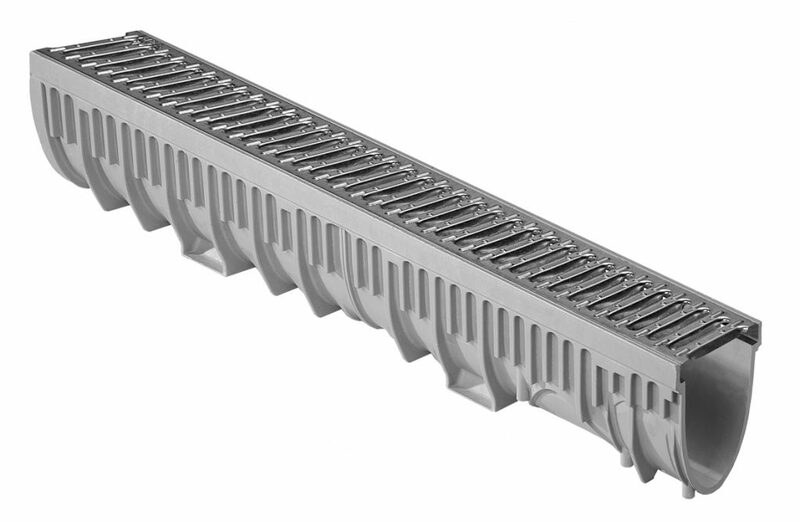 Composite gratings have all of the weight loading characteristics of ductile iron gratings and can carry loads up to C250 but they have the additional advantage of having no inherent scrap value so the chances of them being stolen is significantly reduced. They also fair better than metal gratings in harsh environments such as coastal areas where salt and water can cause oxidisation of metal gratings. 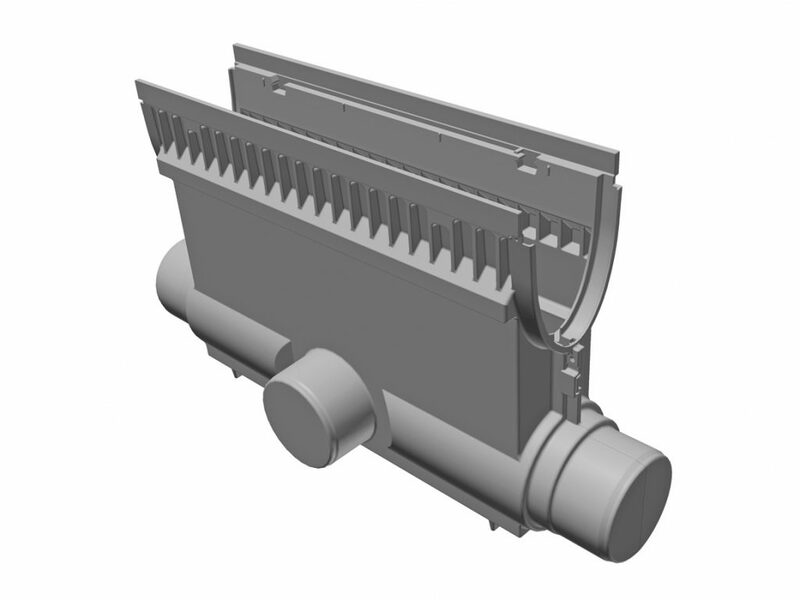 Solid covers serve two purposes; they can be used to create a duct run to contain cables or intermittently in runs of normal gratings on areas where pedestrians are crossing. 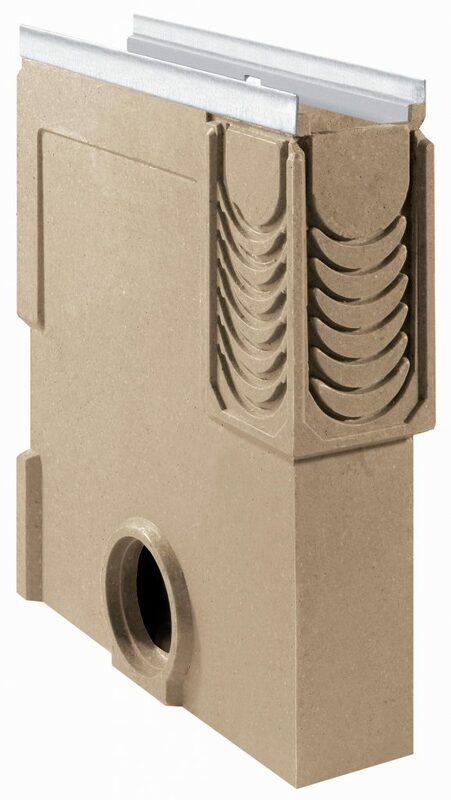 Sumps or silt boxes can be located either at the end of a run or in the middle and their purpose is to catch silt and debris before it goes in to the drains below. 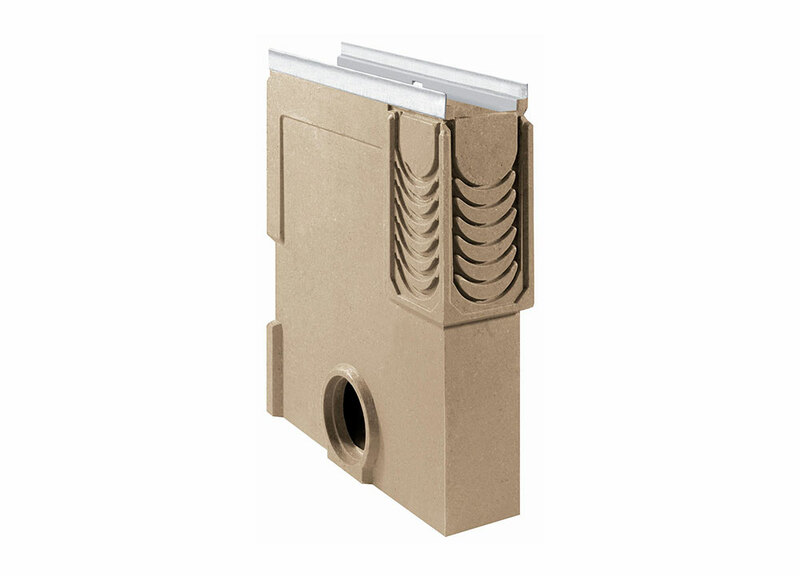 Sump units have pre-marked ‘knockouts’ on the sides which can be punched out in order to connect up plastic drain pipe. The internal silt bucket can be easily removed, cleaned and replaced as part of the maintenance programme. End caps come in different depths to match the different channel depths. They are used to start and finish each run of channel.